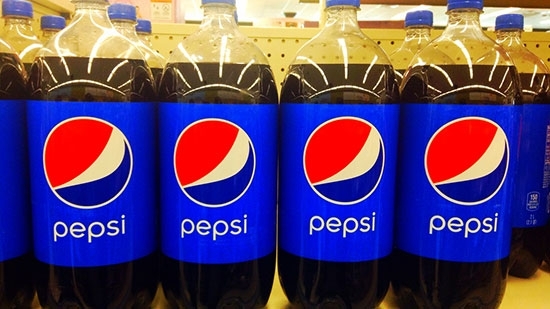 Pepsi announced that it will stop selling 2-liter bottles and multi-pack quantities of beverages such as 6 and 12 packs in Philadelphia blaming the city's beverage tax. The bottling company says that it wants to offer consumers products in package sizes that are affordable. In a letter to stores PepsiCo stated, "Because of the Philly Beverage Tax, people are buying far fewer taxed beverages - particularly those in larger package sizes because they now cost so much more." The change went into effect on March 20th, meaning once inventory is sold out on shelves it will not be restocked. Pepsi products (including Mountain Dew, Gatorade, and Lipton Ice Tea brands) will still be available but in smaller sizes. Four people were injured in a crash in Chester County on Tuesday. It happened around 4:30 p.m. on West Chester Pike and Dutton Mill Road in Willistown Township. At least four cars were involved in the crash. The injured persons were taken to Paoli Hospital. No word on their conditions. West Chester Pike was closed in both directions during the crash investigation. The City of Wilmington has suspended its Right-Turn-On-Red Camera Safety Program and will be refunding around $800,000 to more than 6,700 vehicle owners who were ticketed last year and paid the fine. Those people received and paid citations between July 1, 2016 and January 11, 2017. Refunds will start next week. An additional 2,500 vehicle owners who were cited during that time but haven't paid will receive notification that their citation has been voided and they do not need to pay. Last summer, the Delaware General Assembly passed legislation that said jurisdictions "can only issue right turn on red violations if there is safety and crash data to support it as determined by the (Delaware) Department of Transportation." Wilmington Mayor Mayor Mike Purzycki suspended the program indefinitely because he doesn't feel the current program would hold up against legal challenges. The use of automatic red light cameras to catch violators going straight through an intersection is still in use. Also, you can still be pulled over by a police officer for turning right on red illegally. All affected drivers have been identified and will be notified automatically.